Do you offer adult cycle training? Yes, indeed we do! For details on what our training involves, and how you can book a lesson click here. Yes we do! We can teach up to two children at a time. Please use the normal booking process and indicate on the booking form that the lesson is for a child. Lessons can be shortened from our standard two hours to a minimum of one hour, to allow for younger people’s levels of energy/attention. Our training timetable is based on our instructors’ availabilities to work, and can be found by visiting this page and clicking on the orange button labelled “Book your cycle training session”. Your first lesson needs to begin at one of several off the road traffic-free locations around Oxford; this will allow us to assess your abilities before going on the road. You can choose your preferred starting location on the booking form; you can view these locations on the map at here. Once your instructor is happy with your abilities, you’ll then be able to progress to on-road cycle training, focusing on specific areas/roads in Oxford you may find most challenging. Our current rate for cycle training is £40 per hour of instruction, payable by cash or cheque to the instructor at the conclusion of each session. University of Oxford staff and students are eligible for subsidised cycle training; please see the question below for details of this scheme. It could be true – staff members and students of the University of Oxford can each receive up to six hours (that’s 3 full sessions) of cycle training paid for by the University. In addition, we have an agreement with Oxford Health NHS Trust whereby any of their employees can receive an hour of cycle training paid for by the Trust. If you belong to either of these organisations, please select the relevant option in the “Who’s paying?” section of the online booking form. Occasionally we have access to funding that allows us to offer cycle training sessions for free, or for reduced cost to the trainee. We don’t have any such funding at the moment, though. 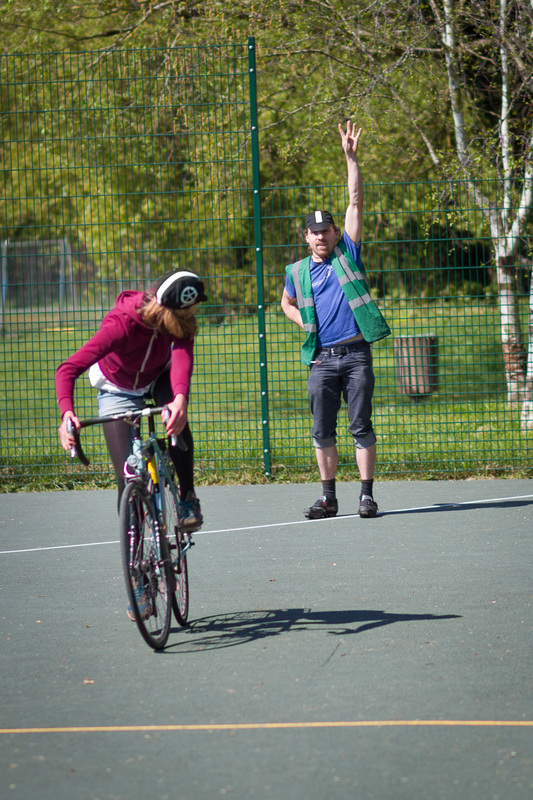 If you’re aware of any relevant grant opportunities which you think we could apply for or if you want to provide cycle training to your employees, please let us know! Can I borrow a bike from you for the lesson? If you are learning how to balance on a bike, then yes – for the lesson. When booking, please indicate this on the online booking form and state your height so that we can bring the right size bike for you. Unfortunately we don’t have any children’s bikes available at the moment. If you can already balance, we are unable to provide a bike for the lesson; it is best if you develop your skills and practice on your own bike anyway! Please visit this page and click the orange button with “Book your cycle training session” on it; you’ll be taken to a list of available sessions. Please select “1” from the drop-down list next to the session you want to book, then click “Register” at the bottom of the page to be taken to the booking form. If you haven’t booked a lesson with us before, please only book one session for your first lesson – you’ll be able to arrange follow-up sessions with your instructor afterwards. Hey! I couldn't find an answer to my question in the FAQs above. How do I contact you guys? Looks like your question hasn’t been asked that frequently 🙂 – so please use the form below to submit your enquiry. Thanks!